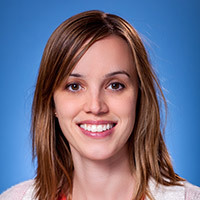 Dr. Erin Dowling obtained her medical degree from the David Geffen School of Medicine at UCLA. She completed her residency at the Cedars- Sinai/ Los Angeles VA program. She completed a UCLA Kennamer fellowship in general internal medicine at Cedars Sinai and served as an academic attending in their residency program while obtaining special training in the medical management of the morbidly obese patient. She spent a year on the faculty at UPMC in Pittsburgh prior to joining the faculty at UCLA in 2011. Her current interests including understanding the complexities of hospital readmissions as well as optimizing transitions of care. Dr. Dowling board certified in Internal Medicine in 2009.